I've been tagged by Jennifer from Chilling With Lucas to complete eight photos of happiness. This tag was originally started by Ariel Ward over at Ariel's Little Corner of the Internet. - Thank your nominator/s and link them in your post. 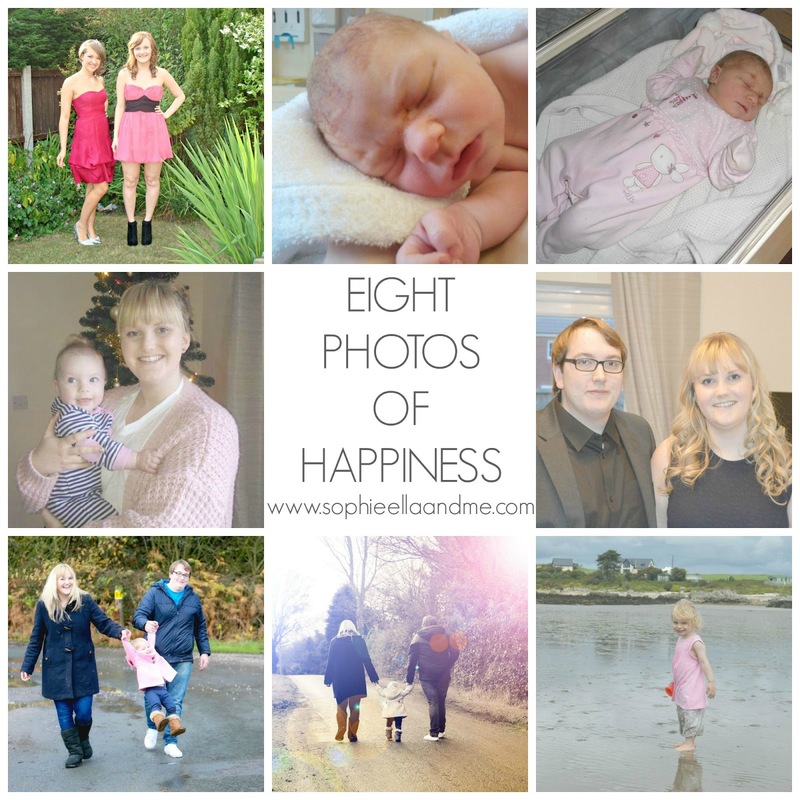 - Post your 8 photos of happiness; the photos can be anything that represents a moment, object, place or feeling that makes you happy. - Pop in a brief description of the photo, why you chose it or let the photos do the talking! - Spread the happiness and tag up to ten other bloggers! 1. The first photo is of me and my best friend, Jen, just before our school prom in May 2010. She sadly passed away the following year so this photo is very special to me. 2. This was Sophie's first ever photo just after I'd given birth in June 2013. 3. This was also taken in hospital (June 2013), when I'd just had Sophie and she is wearing her first outfit. 4. This was Sophie's first Christmas when she was six months old.. I love how happy we both are! 5. This was in February this year, celebrating both mine and Toby's 21st Birthday's. 6. This photo was taken in November 2014 where we had a family photoshoot. I love how we're all smiling on this one! 7. Another one of my favourites from the photoshoot last year. This is one of the very few photos we have of all three of us together. 8. Sophie on our trip to Scotland in July this year, looking so grown up!